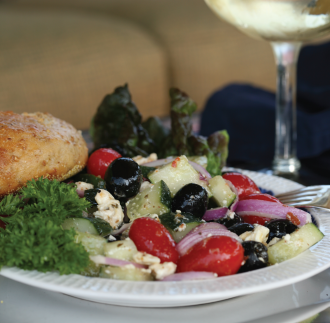 This recipe appeared in the Summer 2008 issue of Texoma Living!. Cover the bottom of a large bowl with vinaigrette. Add all other ingredients. Cover and chill for 30 minutes before serving. Toss well. Note: Always put the salad dressing in the bowl first when making a salad in advance. This will keep the salad fresh and your salads will never be soggy! William F. “Buffalo Bill” Cody was born in LeClaire, Iowa, in 1846. During his early life he herded cattle and worked as a driver on a wagon train, went on to fur trapping and gold mining, then joined the Pony Express in 1860. After the Civil War, Cody scouted for the army and gained the nickname “Buffalo Bill” as a hunter. Texoma is deep in the heart of the Red Dirt music scene. Taking their names from the iron- oxide-rich soil that colors the Red River, Red Dirt trailblazers such as Cross Canadian Ragweed and Stoney LaRue blurred the line between country and rock in Oklahoma and let the winds carry the grit south to Texas, where artists such as Texoma’s Spur 503 have put their own spin on the dirt. Apartment Development, Barometer of Growth? It has been more than 10 years since the last apartment units were built. Now there are two major projects hitting the market. If you travel Travis Street (FM 131 South) you’ve seen Northside on Travis and The Bridges on Travis (previously named Knollwood Park) rise from the dirt. Northside on Travis opened the first of three phases in October of last year.